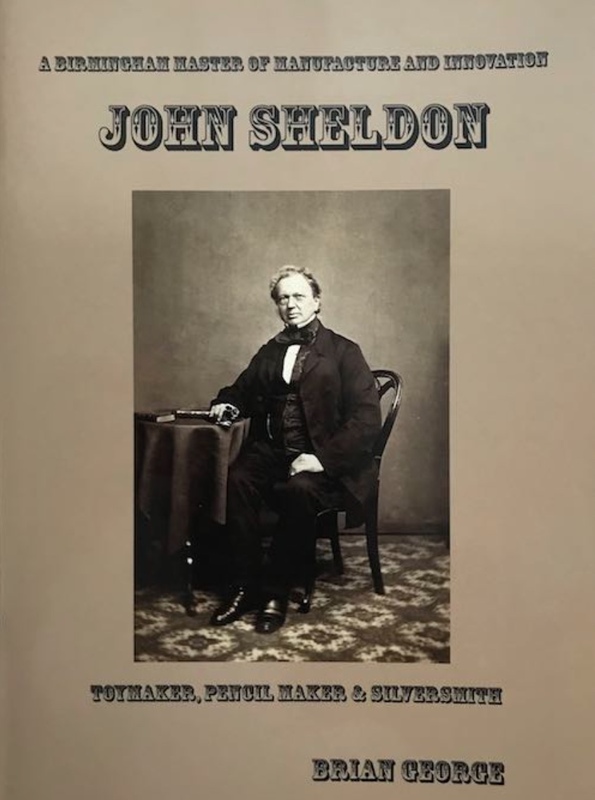 First part of a look at the life of John Sheldon, one of a new breed of entrepreneurial businessmen who collectively demonstrated unprecedented levels of inventiveness, turning the city of Birmingham into a manufacturing leviathan. We begin by looking at his work and his products; later articles will detail his family life and his American descendants. JOHN SHELDON was a pioneering manufacturer and innovator during the early years of the explosive growth in industrial capacity in the city of Birmingham. Innovators such as Sheldon were the catalyst for the rapid expansion of what was soon to become Britain’s second city and the powerhouse of the national economy. By the last quarter of the 18th century Matthew Boulton had already established the city’s first factory, developing the principles of mass production on an assembly line basis. In 1801, at the time of the first census, Birmingham had a population of 73,670, even then enough to make it one of Britain’s largest and most important towns. The young John Sheldon was typical of the new breed of entrepreneurs who sprang up in Boulto’s wake, creating scores of thousands of new, well-paid jobs and attracting a huge influx of fledgling citizens. By 1901 the city population had passed the half-million mark and just 30 years later it topped one million such was the phenomenal growth of the city fueled by this new breed of innovative businessmen like Sheldon. This timeline of Birmingham history shows the pace of change accelerating rapidly from the 18th century onwards, with entrepreneurial businessmen stoking the fires of expansion with an extraordinary combination of invention and application. 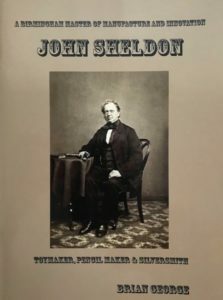 John Sheldon was barely out of his teens when he embarked on his first venture in 1820, setting up as Sheldon & Co in Lichfield Street where he soon joined forces with another like-minded spirit, Joseph Smith, to establish Sheldon and Smith, making spectacle cases, tobacco boxes and gunshot charges. The partnership was dissolved in 1832 and Sheldon set out on his own again, this time in larger premises in Lancaster Street, where he added the making of pencils, pen cases and an Escritoir to his list of products. Growth in trade, literacy and and travel opened up vast new markets and Sheldon was quick to spot the worldwide potential for his writing equipment. 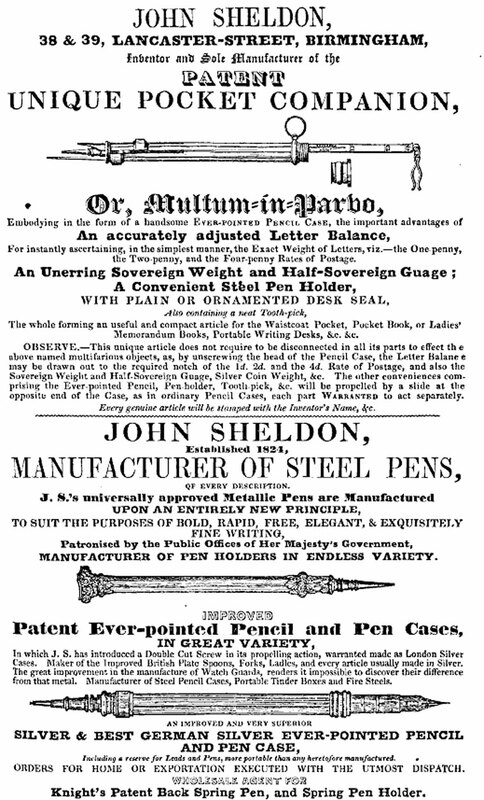 A full-page advertisement in the 1835 Pigot’s Directory lists “a few of the most admired pens and cases, which have met with the decided approbation of the public.” Among them are pencil cases in German silver, mosaic and other metals, steel pens and pen holders, lightweight pens, pens specially adapted for “Mercantile use” and Sheldon’s Semi-Lunar and Imitation Quill Metallic Pens. An 1842 advertisement featuring one of John Sheldon’s innovative inventions, the ‘Unique Pocket Companion’. As befits a man selling writing equipment, Sheldon had a great way with words, writing all his own promotional material. An advertisement of 1842 promoted Sheldon’s newest invention, the Unique Pocket Companion, or Multum-in-Parbo (much in little), an ingenious little device that incoporated a pencil case, a letter balance to determine postage rate, “an Unerring Sovereign Weight and Half-Sovereign Guage” to protect the user from counterfeiting, a steel pen holder and a toothpick. He goes on to proudly proclaim that his steel pens “suit the purposes of bold, rapid, free, elegant & exquisitely fine writing” and as such are “Patronised by the Public Offices of Her Majesty’s Government”. Another invention of Sheldon’s, the Fountain Multigraphic Music Writer, aimed at composers, copyists, schools and the public at large, boldly boasted that one supply of ink was sufficient to make from 1,800 to 2,000 Crotchet or Quaver Dots! As befits someone selling writing equipment, Sheldon was a great man with words, describing his Escritoir in one promotion as “The Cabinet of the Million and Wonder of the Age”. Brian George, a member of the present-day Writing Equipment Society, who has extensively researched John Sheldon’s life, has described the extraordinary detail that went into these miniature writing desks, which contained all the essentials for writing. “The standard Escritoir was offered in six sizes ranging from the smallest at 3 x 2.5-inches up to the largest at 6 x 4.5-inches, each covered in plain burgundy or dark green morocco leather and bearing the Royal Coat of Arms in gilt on the outside of the lid. “An outer protective cover in plain or superbly illuminated morocco leather was provided for the smaller sizes to slide into. “The larger sizes had a plain morocco case or additional hinged compartment on the lid containing up to 50 sheets of paper and envelopes. The inside of the Escritoir lid contained an almanac giving postage rates, bills of exchange, moveable feasts, law terms and eclipses. A small clip inside held a blotting card and a memorandum pad. “The metal compartments were marked Wax Lights, Ink stand, Sealing Wax and 12-inch Measuring Tape with Plain and Chequered Seal. The ink stand and wax-light compartments were hinged and raised forward to an upright position. The central compartment contained two wax tapers. “A separate compartment, on which rested a slide-out penholder embodying a graduated letter balance, was marked Pens. A further unmarked recess contained a piece of India rubber and wafers. “When sold, the Escritoir came with nine steel pens, 50 gummed or medallion wafers, three sticks of sealing wax, two tapers and 50 wax lights. Variants included the measuring tape being replaced by a more economical penholder or japanned finish instead of leather. “The Pocket Telescopic Letter Balance, weighing letters up to three ounces, was produced with the same variants in material, finish and graduations for world monetary and weighing systems as the Patent Unique Pocket Companion. Many of John Sheldon’s luxury products employed gold and silver, which is why he steadfastly lived out family life ‘above the shop’ in each of the three properties he occupied during his business career. All three addresses were at the beating heart of a bustling melting pot of factories, foundries and back-to-back houses. No doubt John considered it prudent to remain on site in order to keep a close eye on his investment in the precious metals required to continue his trade, but it had a disastrous impact on the health and welfare of his wife and family, of which we will learn more in part two of John Sheldon’s story. Follow the link to see a fine example of an 1845 version of John Sheldon’s Pocket Escritoir. Brian George’s book on John Sheldon gives us a fascinating in-depth insight into his life and work. I am much indebted to Brian George and his book on John Sheldon (ISBN: 978-0-9562711-0-5), which was published by The Pen and Pencil Gallery, Church House, Skelton, Penrith, Cumbria, UK, CA11 9TE (Tel: 01768 484300). The book is also on sale at the Pen Museum, which is located at the heart of Birmingham’s famous old Jewellery Quarter. While John Sheldon concentrated on supplying the luxury end of the writing-equipment market, other factories across the city devoted themselves to the mass-market production of pen nibs, satisfying around 80 per cent of world demand. At its peak, there were 129 Birmingham pen factories employing as many as 8,000, mostly women and children with just a few men in supervisory or skilled roles. They were poorly paid, while workbench rules demanded no talking, no singing, no metal wastage, no lateness, with fines being imposed on those who transgressed. Between 1850 and the decline of the Birmingham pen trade following the invention of the ballpoint pen in 1938, it is estimated that total production ran into many hundreds of million.